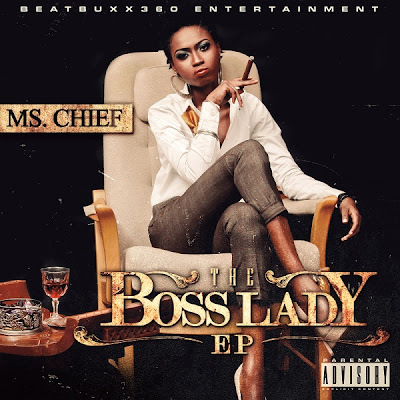 Beatbuxx360 Ent's First lady Ms. Chief finally debuts her most anticipated project 'The BOSS LADY EP'. Currently under the management wings of Beatbuxx360 Entertainment the so sophisticated female rapper who has proven to the industry that she has what it takes with her current smash single 'SLOW' which is getting massive airplay across the country and her appearance on the "Recongize Vol.1 Compliation" by Beatbuxx360 Entertainment; has yet proven to us again that she has what it takes to be an A-list Rapper with her official debut project 'The BOSS LADY EP'. Download, Listen, Share & Enjoy.